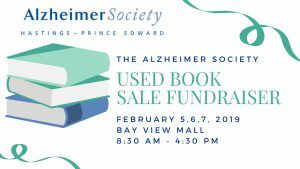 BOOK SALE FUNDRAISER Feb. 5-7 - Raising much needed funds for local education and support programming, the Alzheimer Society Used Book Sale Fundraiser has been operating in Quinte for over 30 years. 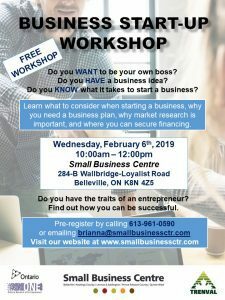 BUSINESS START UP WORKSHOP Feb. 6 - Learn what to consider when starting a business, why you need a business plan, why market research is important, and where you can secure financing. 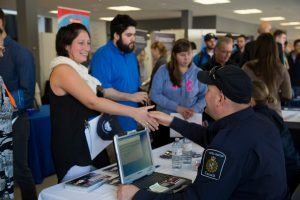 LOYALIST COLLEGE CAREER FAIR Feb. 6 - Get your resumé ready and come prepared to network and secure your next position at the Career Fair on February 6. 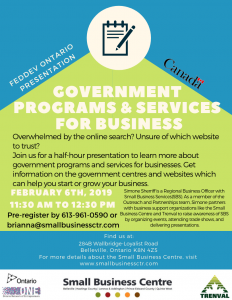 SMALL BUSINESS SERVICES PRESENTATION Feb. 6 - Get information on the government centres and websites which can help you start or grow your business at this presentation at the Small Business Centre.